I had a good laugh on this one. SO, I got a bright idea to mount some 1.25" Panaracer street tires on the Tractor, and the end result is a good, fast ride (moved to 32x12 from 32x18), but the rims are 1/8" wider than the tires are. OPPPPPPPPPPPPSSSSSSSSSS. I'll just need to watch my cornering. Hehe. Last edited by The Tractor; 07-03-2010 at 08:01 PM. Fermented Apple Juice rules!!!!!! BURRRRPP!! what size rims are those? 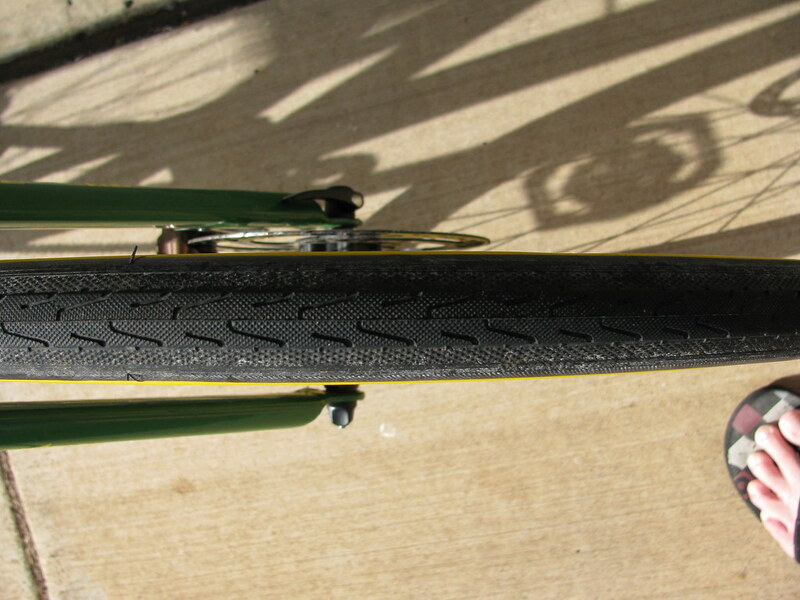 Um, prolly 26"x1.5", Vuelta DH rims, 32 hole. I gather they are really hard to get rims now. I'm going to be trying something similar in a couple of weeks. Now it even runs like a Deer! Put a green or yellow chain on it and you're there. I have red-green and blue-yellow colorblindness. I love black and gray bikes! Um, if I had a yellow chain, I would do it. Don't know about green though, getting the right shade might be hard to do. See everyone, Sparty is a bad influence! Found a yellow chain from KMC, 1/8" BMX , 8 bucks. 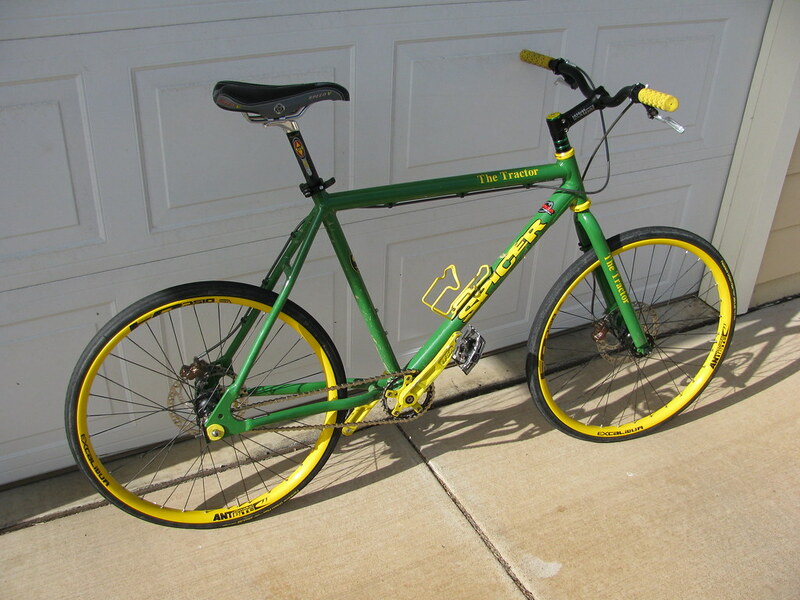 I'll see if I can find one in a BMX shop on the island, shipping costs to here are crazy!! !